A two-hour first-touch experience to “try on” a motorcycle. Through a series of guided activities, this hands-on, learner-centered experience offers participants an opportunity to discover if motorcycling is right for them. Under the supervision of an MSF-certified RiderCoach, participants become familiar with the primary parts and controls of a typical motorcycle, manipulate and operate those controls, discover the risks of riding and the benefits of professional training. The hands-on experience is usually enough for participants to consider whether or not learning to ride is for them. The IME is a perfect introduction to the joys of motorcycling and NOT intended to teach a person how to ride. There is no skill test or license waiver associated with this course. Anyone who has never ridden a motorcycle. Anyone who wants to see if learning to ride is right for them. Anyone who wants a taste of motorcycling in a low-risk environment. Anyone who wants extra time to prepare for the Basic Rider Course. Basic introduction to motorcycle operation. Slow, relaxed pace for maximum confidence and fun. Small class sizes (3:1) for more personal attention. Training motorcycles, helmets, and participation certificates. 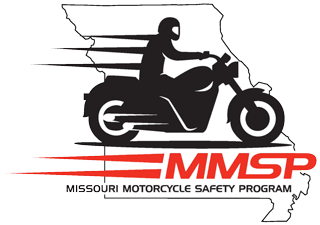 Motorcycle Safety Foundation certified RiderCoaches.